Quick and easy file transfers by URL. Is there a better alternative to Quick App Transfer? Is Quick App Transfer really the best app in FTP category? 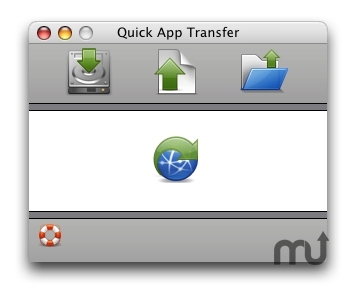 Will Quick App Transfer work good on macOS 10.13.4? Quick App Transfer is a file transfer application for quick and easy file transfers by URL. Download files from any URL fast and complete. Upload files to any URL/ Web server. Also transfer files to any remote application. Add ftp locations as favorites to save time when transfer files often to a given ftp server. Supports Keychain for saving and fast access for sever user name and passwords. Mac OS X 10.3 or later for PPC Macs. Mac OS X 10.4.5 or later for Intel Macs. Quick App Transfer needs a rating. Be the first to rate this app and get the discussion started!